The new bundles all feature a microphone with mount, ATH-M20x headphones, and a custom boom arm with desk mount. Honing in on the growing Millennial market, Audio-Technica's latest bundles are designed with content creators in mind. Streaming and making YouTube videos has become not only a viable living for some, but it's also become a huge driver in sales of home office and pro audio equipment. Audio-Technica is looking to capitalize on this trend by releasing four new microphone-headphone bundles catered to content creators. These bundles “provide turnkey microphone/headphone solutions for all aspects of content creation,” according to the Audio-Technica press release. Two bundles feature USB outputs to directly connect with computers, while two feature XLR outputs for more flexibility to connect with professional mixers or digital interfaces. 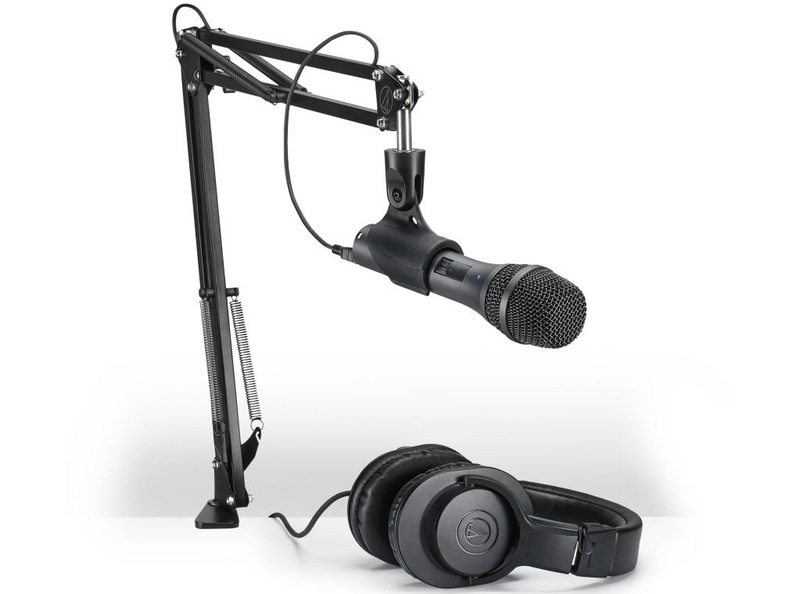 All Audio-Technica bundles feature a microphone with mount, ATH-M20x professional monitor headphones, and a new custom boom arm with desk mount. 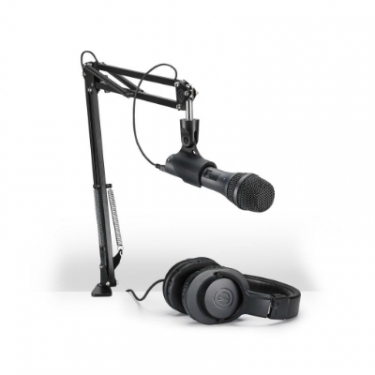 The boom arms are pre-threaded with the appropriate USB or XLR microphone cable compatible with the included microphone. The AT2020PK bundle includes an AT2020 cardioid condenser microphone, ATH-M20x headphones, and custom boom arm. The AT2020USB+PK bundle includes an AT2020USB+ cardioid condenser USB microphone, ATH-M20x headphones, and custom boom arm. The AT2035PK bundle includes an AT2035 cardioid condenser microphone, ATH-M20x headphones, custom boom arm, and shock mount. “All four of these bundles offer a high level of value, with microphone models that have proven to be a hit with all manner of content creators in recent years,” says Gary Boss, Audio-Technica marketing director for professional markets, in the company press release.